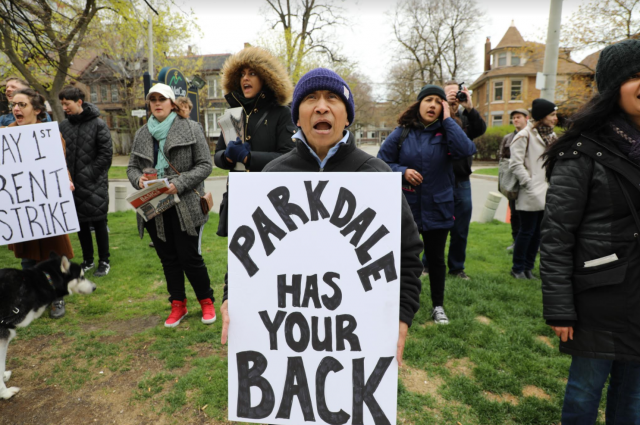 Victory: Collective Action Beats Evictions in Parkdale! 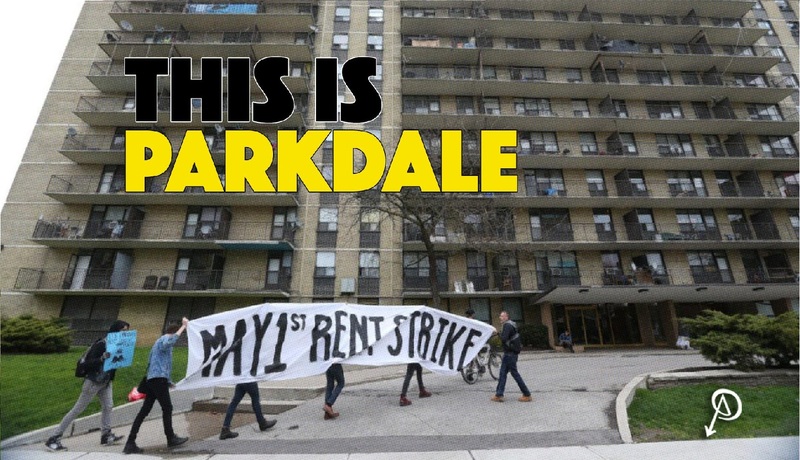 Parkdale Rent Strike Ends in Victory! On June 21 fourteen tenants representing rent strikers from six buildings sat down across the table from eight high ranking AIMCo and MetCap executives to put forward the demands of the Parkdale rent strike. Rent strikers secured an agreement from MetCap to stop all evictions as long as negotiations are ongoing. Negotiations resume next week.